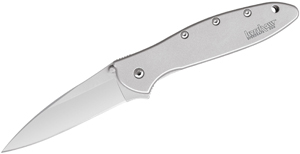 KnifeCenter Exclusive Nakamura – Now Only $169.95! When it comes to Benchmade, the Nakamura easily ranks as one of the best gentleman’s folders of all time. Of all the available Nakamura models, our KnifeCenter Exclusive is by far the greatest variation out there. 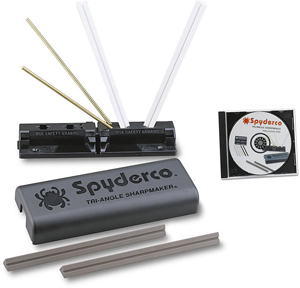 This Black Friday, you can add one to your EDC for only $169.95. As far as we’re concerned, the wooden handle scales really take the aesthetics of the elegant Nakamura to the next level, with the darker finish on the wood nicely offsetting the lighter stonewash finish of the blade. While the handle is the same shape as previous Nakamura variants, the smooth, contoured wood gives it an all-new feel in the hand. The four finger indents are going to give you a great sense of control over your cuts, and the overall design is topped off with a reversible, tip-up pocket clip. The slick orange pivot accent and barrel spacers add a pop of color to this knife that truly sets it apart from any other Nakamura models out there. 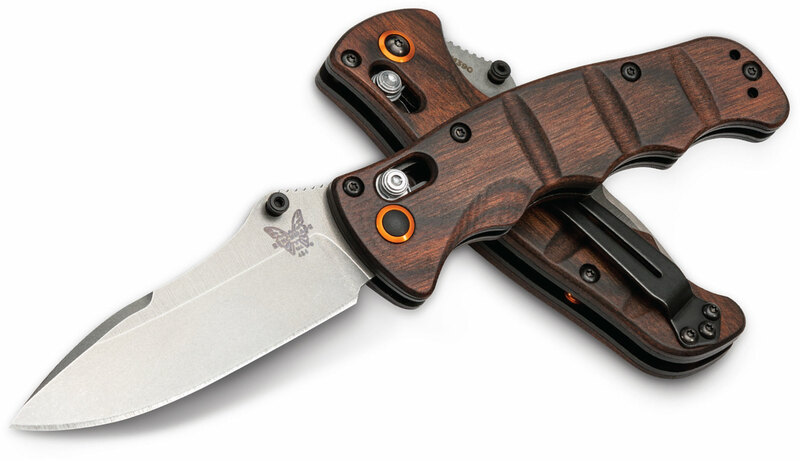 The deployment action is smooth and responsive, which is typical for Benchmade. The ambidextrous thumb studs make for some snappy action using either the thumb or middle finger. 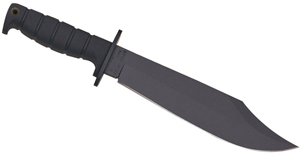 The blade’s 3.08” drop point shape is manufactured from premium M390 steel, which is great for edge retention and corrosion-resistance. The solid lockup is all thanks to Benchmade’s AXIS Lock. This is a favorite for a lot of people over at KnifeCenter, and not just because it’s an exclusive design. Take advantage of a great deal and buy one for yourself (and maybe a friend) this holiday season – this is an opportunity you don’t want to pass up!